The big, heavy clusters of glossy black elderberries give a dark and aromatic cordial that tastes delicious both cold and hot. 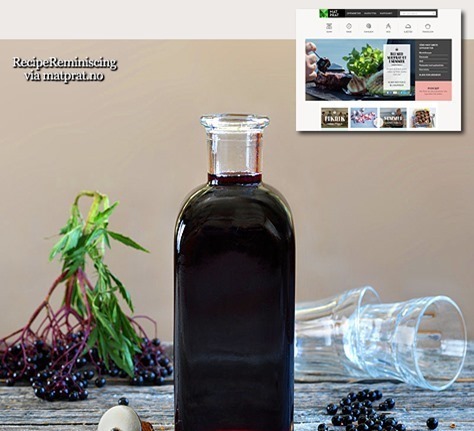 Elderberry cordial is just the thing to drink when having a cold – it is alleged to have an antitussive effect. 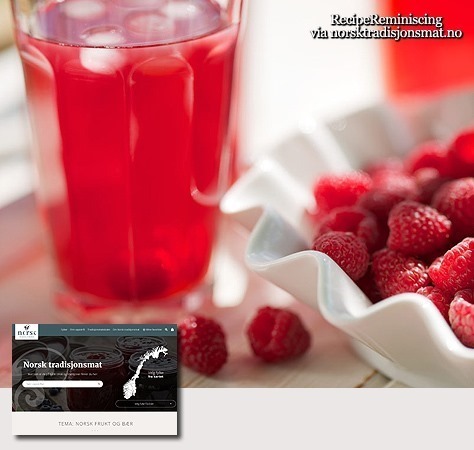 Raspberries have been known and eaten as long as it has lived people in Norway. As far back as from the Stone Age, large amounts of raspberry seeds have been found in one place and it is probably waste after making something resembling modern cordials. 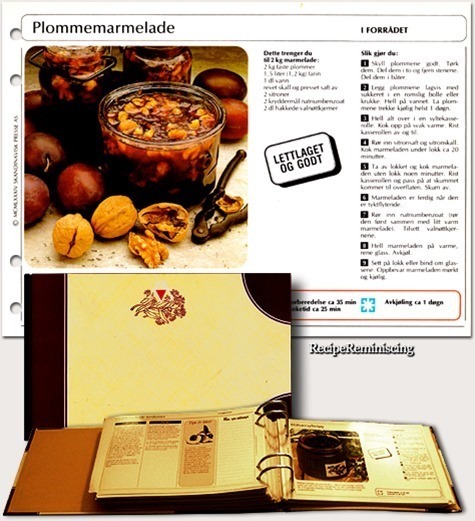 This recipe is from the book “Drikke fra Østfold” (Drink from Østfold), published by Østfold Associated Country Women in 2007. A useful sweet and sour sauce delicious in wok dishes with vegetables or as dips for spring rolls. It also tastes delicious with fried chicken and fish dishes. 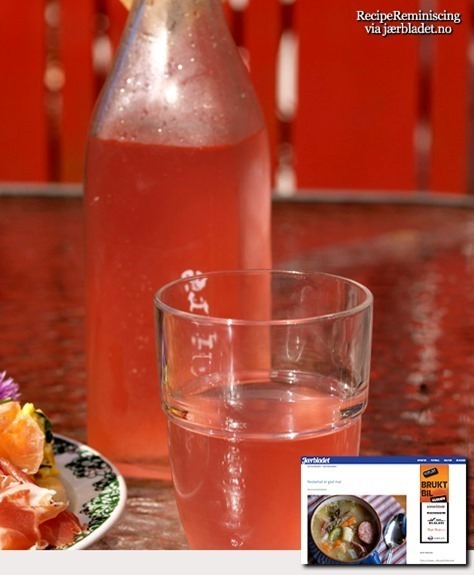 You will get a wonderful color on the cordial if you let the peel stay on the rhubarb and if you want, you can also add a handfull of raspberries or strawberries for color and taste. This is raw cordial so it has shorter shelf life than boiled cordials, but it’s the taste of season and summer so enjoy the moment. Bring a bottle at the summer party, it will guaranteed be a popular gift. 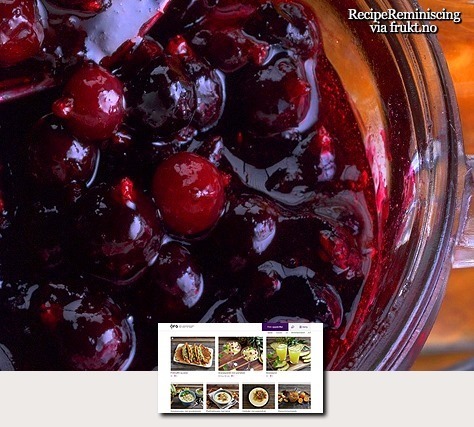 A fresh and very delicious jam that combines the taste of blueberries and raspberries. A great sandwich spread, but also great for cakes and desserts. Use citrus fruit with as thin peel as possible and do not make a larger portion than you can use up in a reasonable amount of time. Store the marmalade in the refrigerator. If you can harvest plenty of plums in your own garden, or get them at a reasonable price, you should try this delicious plum marmalade. Through different detours, this recipe has travelled from the United States to Norway about 100 to 150 years ago. Conserving redcurrant has been known from the 17th century and in the 18th century the redcurrant bushes were widely spread in Norway. In Norwegian gardens there are very many bushes still, but there is little commercial production. 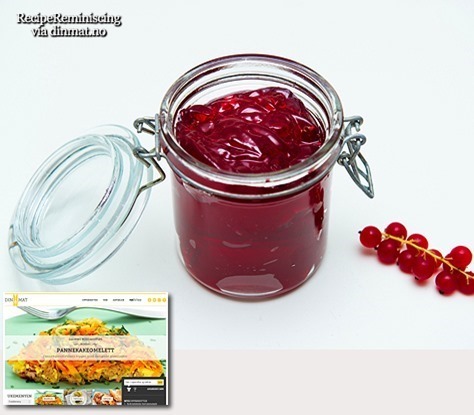 Redcurrant contains pectin which makes it very suitable for jelly and jam. 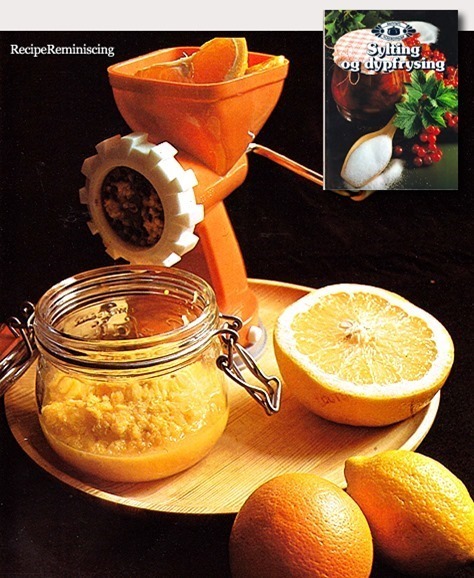 One portion of this recipe makes one jar of finished jelly. 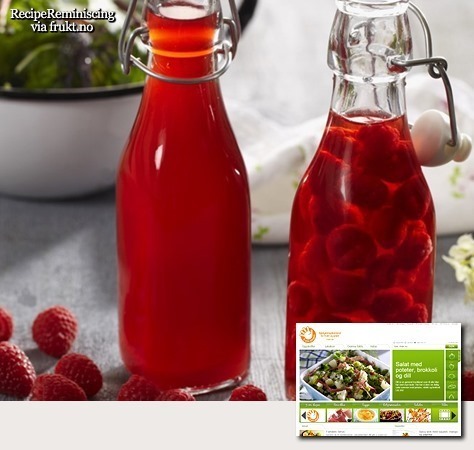 Make a bottle or two of raspberry vinegar, then you have a delicious basis for dressings and desserts. It’s also a great host gift to bring along when you’re invited for dinner or tea. 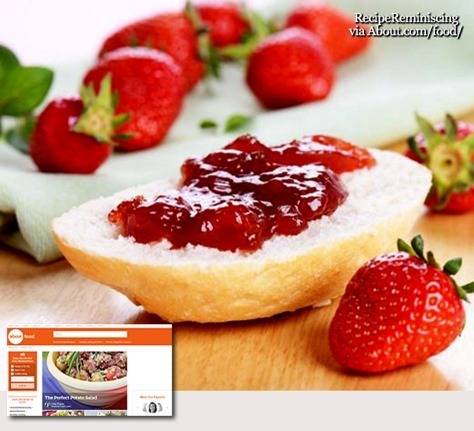 This quick and easy recipe for strawberry preserves is made without added pectin. It’s a vintage recipe and it makes about four half-pint jars. A candy thermometer is recommended for the best results. 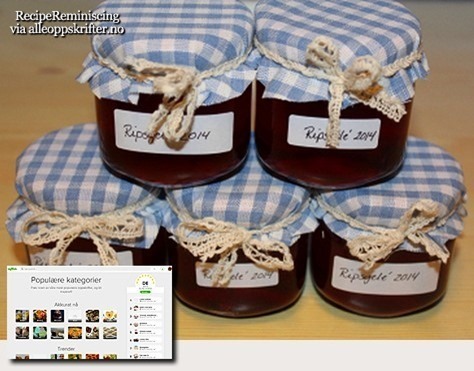 There are other methods for testing the preserves. See the jelling tests below the recipe. 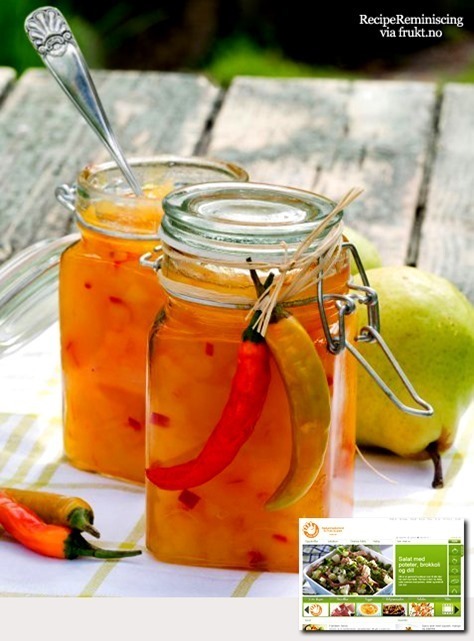 A yummy and slightly different marmalade with pear, saffron and chili. The marmalade goes great with fried meat and it makes a delicious sandwich spread. 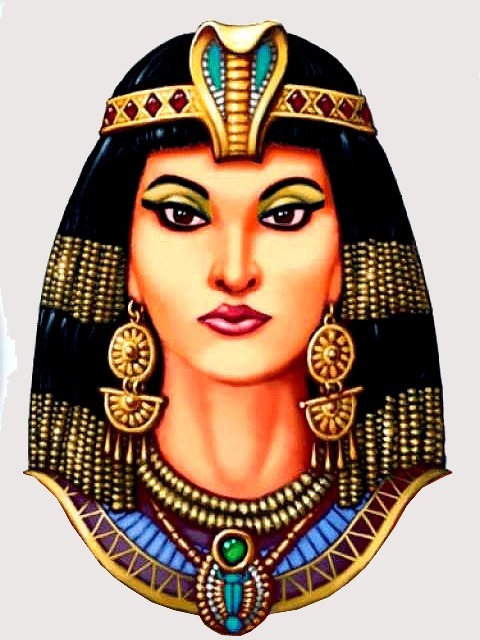 It is rumored that they were one of Cleopatra’s prized beauty secrets. 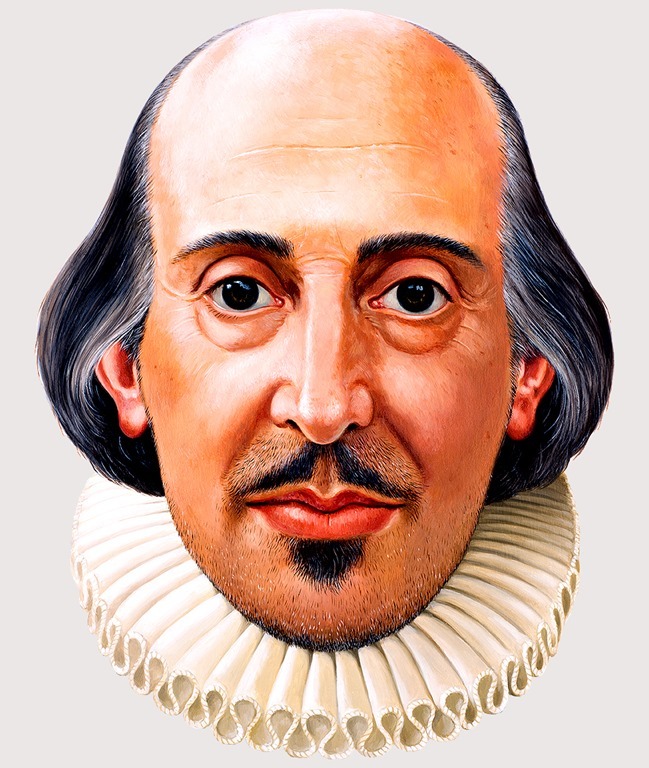 They make apperances in the Bible and in Shakespeare’s writing. Pregnant women have been known to crave them along with ice cream. 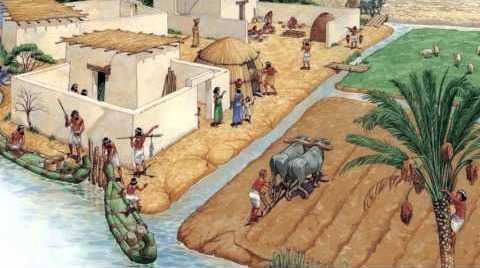 Pickles have been around for thousands of years, dating as far back as 2030 BC when cucumbers from their native India were pickled in the Tigris Valley. The word “pickle” comes from the Dutch pekel or northern German pókel, meaning “salt” or “brine,” two very important components in the pickling process. 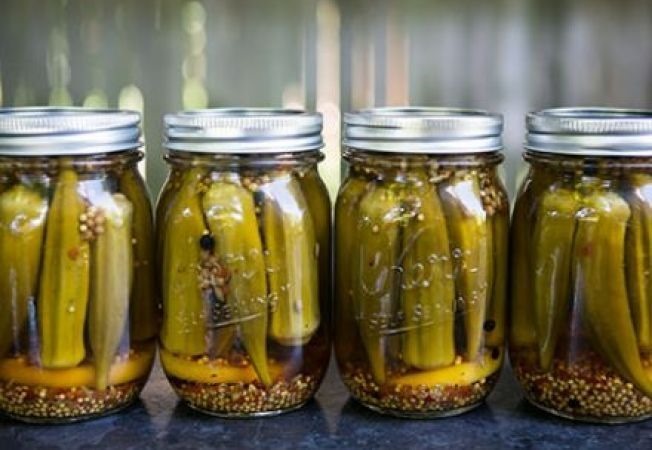 Throughout history pickling was a necessity, as it was the best way to preserve food for a long period of time. As one of the earliest mobile foods, pickles filled the stomachs of hungry sailors and travelers, while also providing families with a source of food during the cold winter months. Pickles are created by immersing fresh fruits or vegetables in an acidic liquid or saltwater brine until they are no longer considered raw or vulnerable to spoilage. When we think of pickles, cucumbers commonly come to mind. Pickled cucumbers are often lacto-fermented in saltwater brine. During this process lactic microbial organisms develop, which turn the naturally occurring sugars of foods into lactic acid. In turn, the environment becomes acidic quickly, making it impossible for any spoiling bacteria to multiply. Cucumber pickles can also be made with a salt and vinegar brine, a popular choice for home cooks. The brine, known as “pickle juice,” is sometimes used by athletes to treat dehydration, though it has yet to be proven as a true remedy. Kosher dills have a unique history of their own. 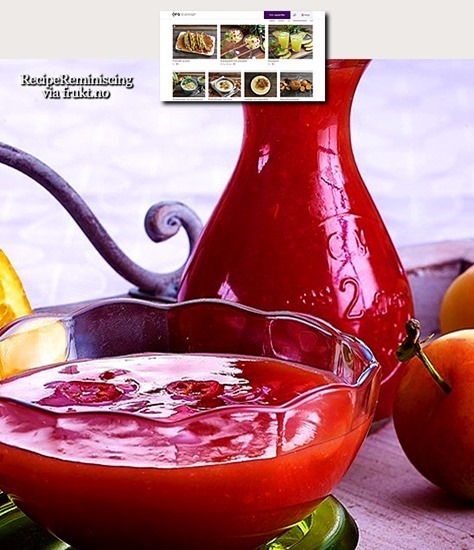 In The Book of Jewish Food, Claudia Roden explains that pickled vegetables were a dietary staple for Jews living in the Ukraine, Poland, Lithuania and Russia. The sharp flavor of pickles proved a welcome addition to the bland bread-and-potato diet of these cold weather countries. For several generations, it was an autumn custom for Ashkenazim to fill barrels with cucumbers, beets and shredded cabbage. The mixture was left to ferment in a warm place for several weeks, then relocated to cool, dark cellars. The pickles would last through the long cold winter until spring, when new crops of fresh produce were available. When a heavy influx of eastern European Jews arrived in New York City during the late 1800s and early 1900s, immigrants introduced kosher dill pickles to America. Cucumbers were washed, then piled in large wooden barrels along with dill, garlic, spices, kosher salt and clean water. 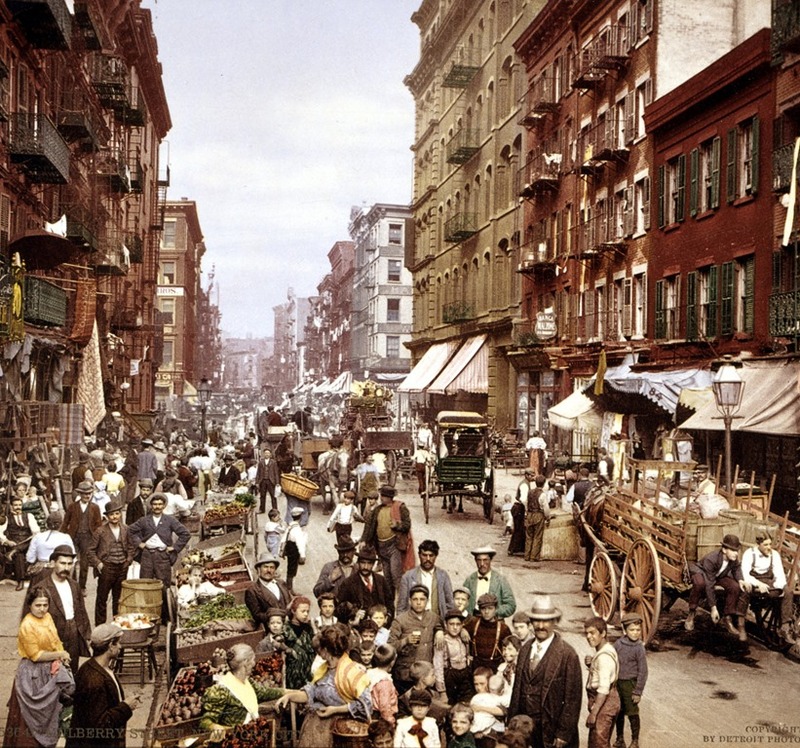 They were left to ferment for a few weeks to several months; shorter fermenting time produced brighter green “half sours,” while longer fermentation resulted in “full sours.” Pickles were sold on pushcarts in the immigrant tenement district of New York City. Over time, Jewish-owned shops selling pickles straight out of the barrel began appearing in droves. Eventually, pickling became a profitable business within the Jewish community. Today, a plate of pickles is usually served complimentary with a meal at the best Jewish delis. Home pickling was made much easier and more sanitary during the 1850s, when two essential canning tools were invented. First, a Scottish chemist by the name of James Young created paraffin wax, which helped to create a seal for food preserved in jars. 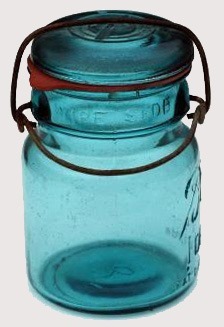 A few years later, John Mason developed and patented the first Mason jar. Mason’s jars were made from a heavyweight glass that was able to tolerate the high temperatures used in canning and processing pickles. Of course, pickles aren’t limited to the dill and cucumber variety. They can be sweet, sour, salty, hot or all of the above. Pickles can be made with cauliflower, radishes, onions, green beans, asparagus and a seemingly endless variety of other vegetables and fruits. When the English arrived in the New World, they brought their method for creating sweet pickles with vinegar, sugar and spiced syrup. Eastern Europeans introduced various forms of lacto-fermented cabbage, known as sauerkraut. The French serve tiny, spiced cornichons with heavy pâtés and pungent cheeses. In the Middle East pickles are served with every meal, from peppers to olives to lemons. Russians pickle tomatoes, among other things. Koreans have their kimchi, the Japanese pickle plums and daikon, and Italians pickle eggplants and peppers. Each area of the world has its own beloved variety of pickle. 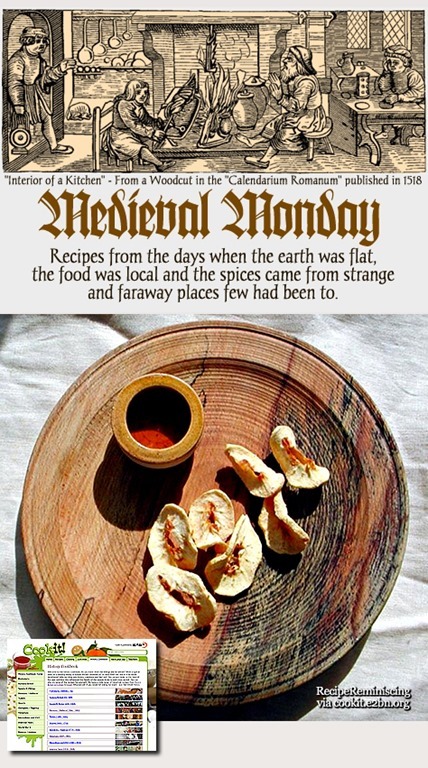 Dried apple rings were popular in the 16th century, as a way of storing fruit to last for the winter. Dried fruit could be soaked and used in puddings and sauces as needed.These keep very well and still make a nice healthy snack.